Open WordPerfect files on your Mac. Is there a better alternative to WPD Wizard? 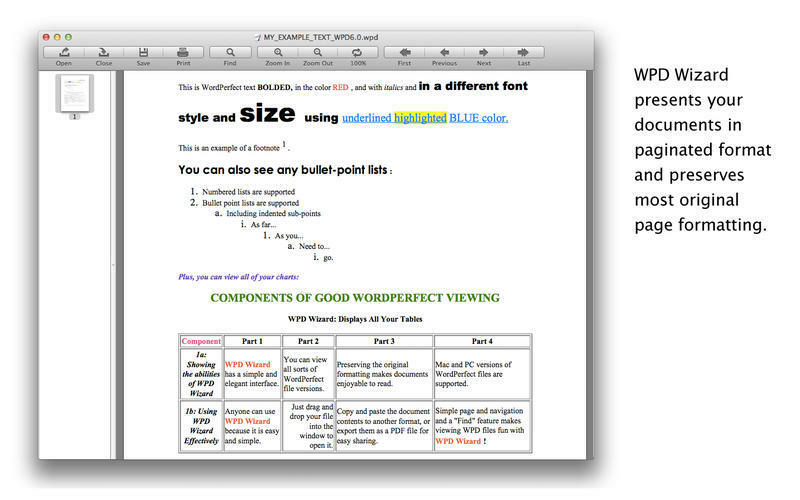 Is WPD Wizard really the best app in Word Processing category? Will WPD Wizard work good on macOS 10.13.4? WPD Wizard allows you to open WordPerfect files quickly and easily. It opens both Mac and Windows WordPerfect files, while preserving most of the original document formatting. It’s easy drag-and-drop interface combined with simple, yet powerful viewing controls, makes reading WordPerfect documents enjoyable and exporting a snap. WPD Wizard needs a review. Be the first to review this app and get the discussion started! WPD Wizard needs a rating. Be the first to rate this app and get the discussion started!